Sapphire - A Rainbow of Color! Sapphire - What is it? Sapphire is a variety of the mineral corundum which is in the aluminum oxide family. Pure corundum is colorless. Colors can be attributed to small amounts of foreign material which are known as trace elements. Blue sapphires can thank iron and titanium for their distinct hue. Red varieties of corundum are known as Ruby. The Mohs hardness scale of mineral hardness measures the resistance of certain materials to scratching. Harder materials are used to scrath softer materials. This scale was created by Friedrich Mohs in 1812. Corumdum is a 9 on the scale of hardness with diamond being a 10. Even though corumdum is right below diamond the scale, diamond is 4 times as hard as corumdum! The list above features different materials and their relative hardness based on the scale. The scale goes from 1 - 10, with diamond being a 10. 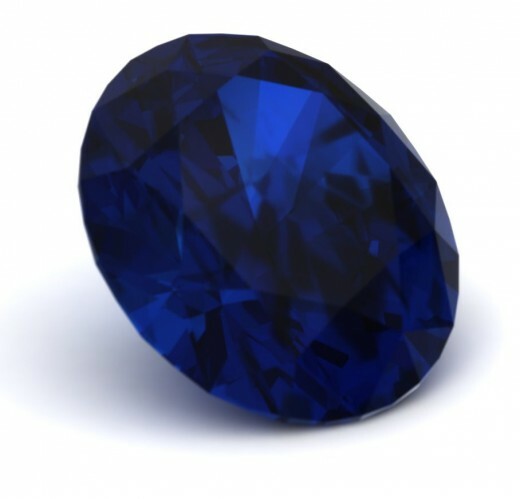 Sapphire has long been a choice for jewelry because of its high durability. Sapphire holds up very well as a gemstone. The range of colors also makes this a great choice for jewelry. 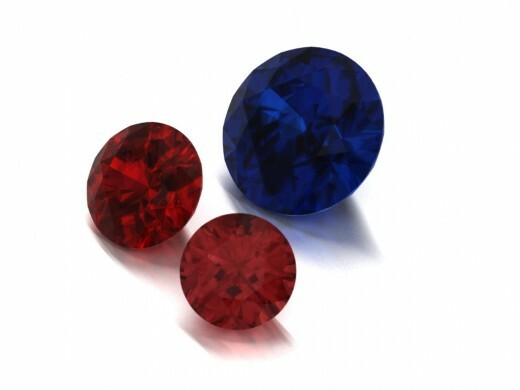 Sapphire is found in all the colors of the rainbow(Red is known as Ruby)! Sapphire can be found in a variety of different colors. 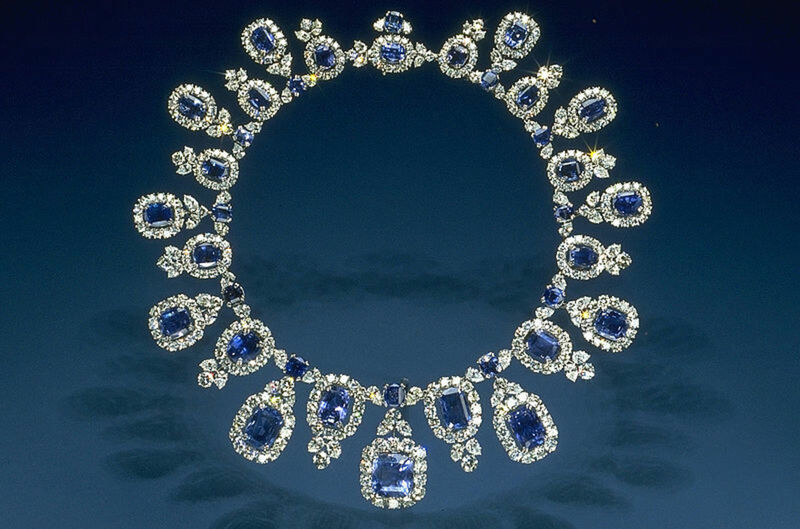 Blue is the most well known color of sapphire. Green, yellow, pink, orange, brown, black, purple and even colorless are also colors associated with this material. Red corundum is classified as a ruby. 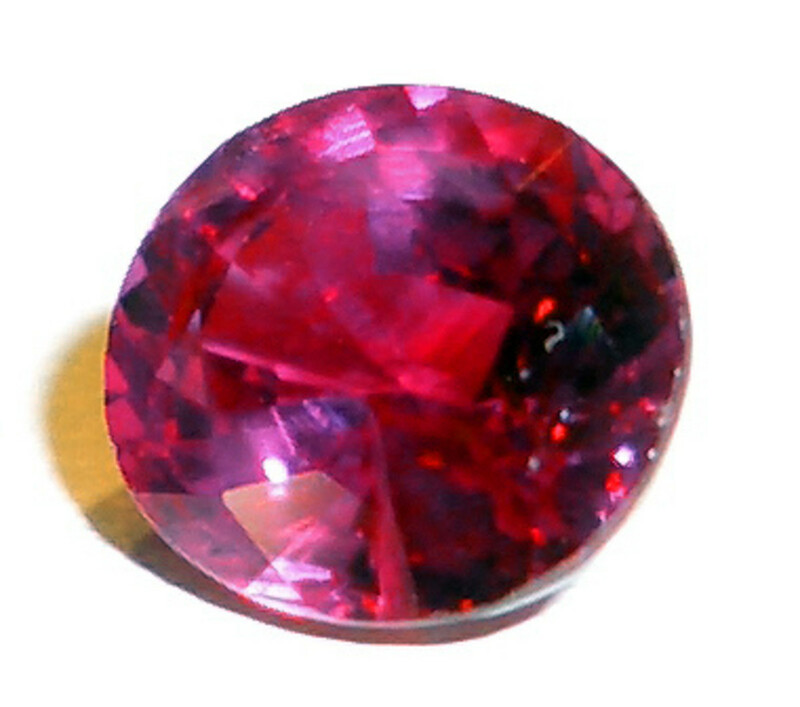 There are certain color thresholds that need to be met in order for a stone to be classified as a ruby. Stones that have a lighter shade of red are classified as pink sapphires. 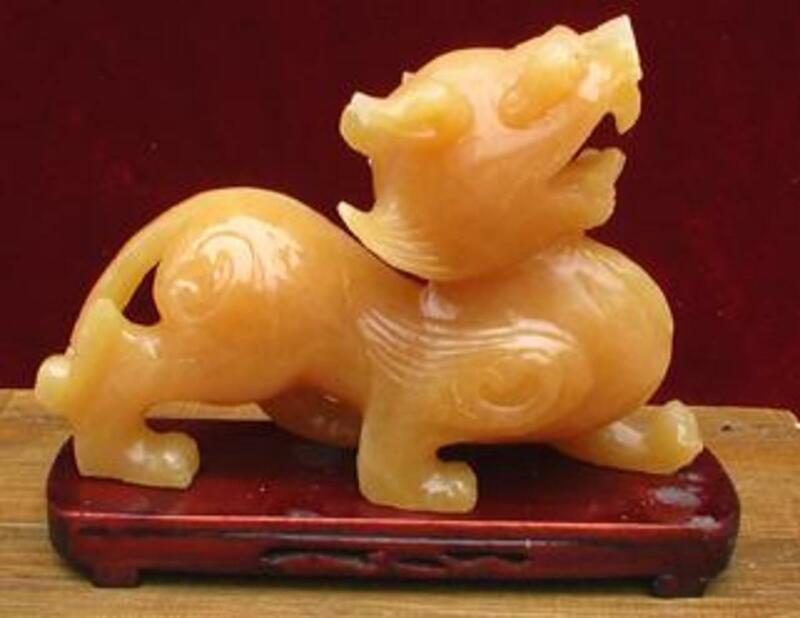 Padparadscha generally refers to a natural corundum material that is pinkish orange in hue. These stones are prized for their hue. Natural material of this variety is very rare. The material has an original origin in Sri Lanka. More recently, this material has been found in Vietnam and East Africa. In the simplest terms, hue can refer to the actual color. The hue can be determined by the dominant wavelength of light in which it represents. There are six hues : Red, Orange, Yellow, Green, Blue and Violet. Saturation can be described as determining the range of color. Lets say this range is between 0% and 100%. A pure color would represent 100%. Lowering the saturation would lower this percentage. Tone can be described as a different shade of a certain color. A more specific explantation of tone would be taking a specific color and adding a gray tone. The hue stays the same but the shade of the color is modified either lighter or darker. What is your favorite color of sapphire? Hey! My sapphire is glowing under this blacklight! What is going on? Under short and long wavelength UV light, sapphire can exhibit fluorescence. One natural cause of this would be high amounts of chromium in the crystal structure of the material. Natural fluorescence in sapphires is rare. This can also be attributed to high pressure, high temperature treatment of the material. Usually this treatment is applied to corundum to enhance the color. Synthetic corundum has been produced for many, many years. This material features the same physical structure of natural, only it is man-made. 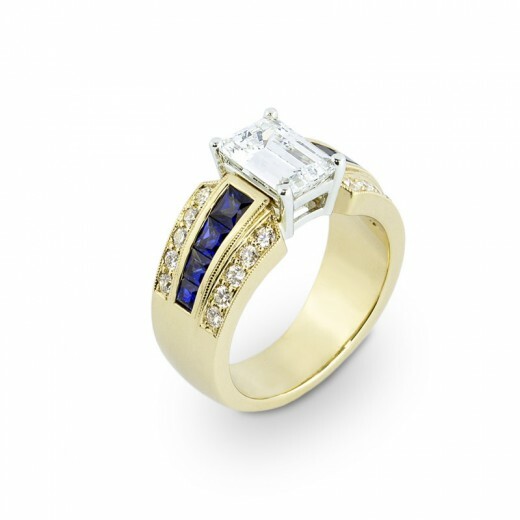 Gemologists can determine through different testing if a stone is synthetic or natural. Certain aspects such as fluorescence, inclusions related to natural growth and others can help determine a stones origin. Synthetic stones are generally much less valuable than their natural counterparts. The term "natural" may be used in a variety of different ways. However, when referring to gemstones, this term is meant to describe a stone that has come directly from earth as it is. 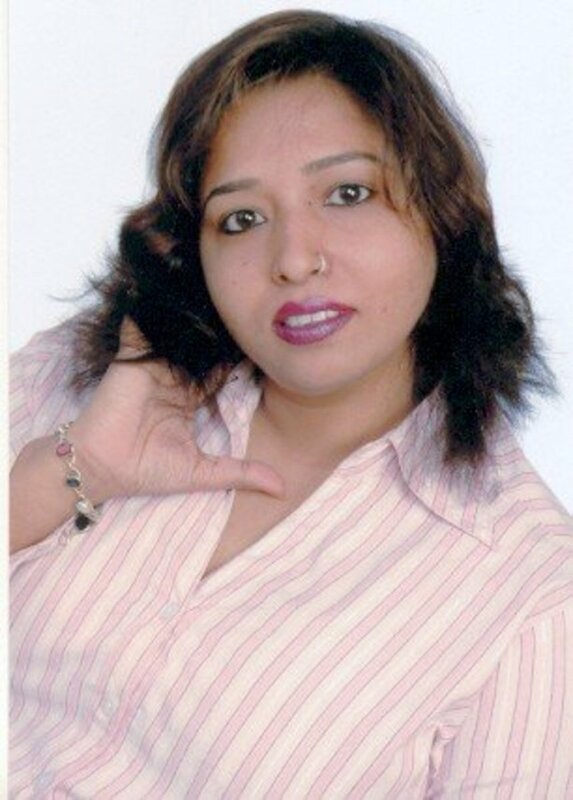 "Natural" stones have not undergone any type of treatment to enhance color, clarity or appearance in any way. There are a few different types of treatment that can be applied to a gemstone to make them more desirable. Heat treatment, Irradiation, Fracture Filling, and Diffusion Process are all used to enhance the look of gemstone. 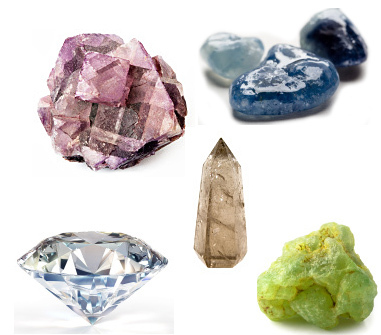 Because many of the gemstones you may see have some sort of treatment, natural gemstones have high rarity and value. These stones are often sought by collectors and jewelry connoisseurs. Star sapphires portray a star-like phenomenon. The technical term for this phenomenon is asterism. Rubies also display asterism. These are known as "star rubies". 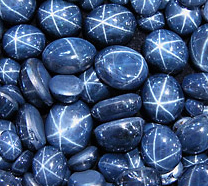 Many of these unique gemstones feature 6-ray stars. However, 4 and 12 ray-stars can also be found. 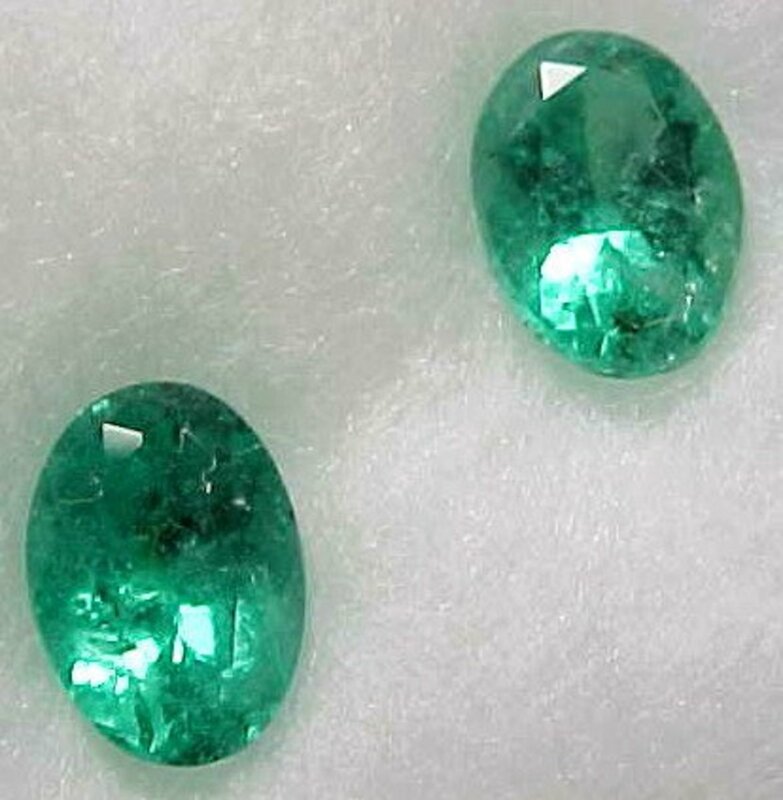 These gemstones are shaped and polished in a form known as cabochon. The rounded top and flat bottom help to exhibit this star phenomenon. What causes this unique star? Many times, inclusions created during formation can be attributed to the appearance of asterism. One common inclusion is rutile. 12-stars sapphires generally have 2 sets of inclusions to make up the 12-star. The largest star sapphire is the Black Star of Queensland. This gem-quality sapphire weighs a whopping 733 carats! The Star of India, another large star sapphire, is about 563.4 carats! The Museum of Natural History is home to the 182 carat Star of Bombay. We know, we know! This article is about sapphires. However, with the close (closer than you may think) relationship between sapphire and ruby, we thought it would be nice to touch on these gemstones as well. Ruby is also corundum. Ruby, known in Latin as ruber, is simply red corundum. Lets all take a minute and give a round of applause for chromium. This chemical element is attributed for providing ruby with its bright, red color. There is a minimum threshold of color that must be obtained to classify a gemstone as ruby. 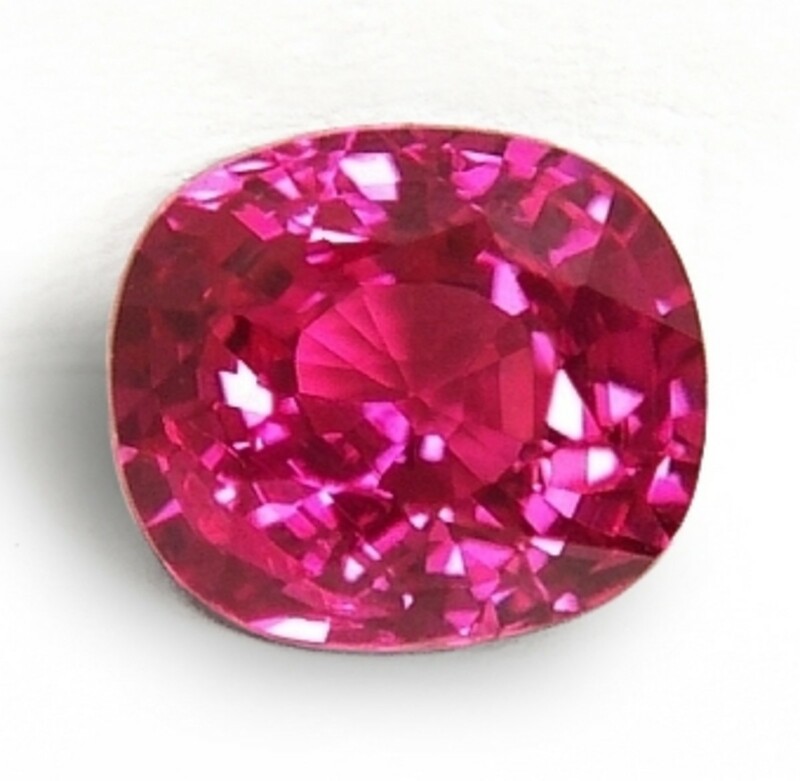 If this is not met, the stone is classified as a pink sapphire. There is a very, very fine line between darker pink sapphires and rubies and this characteristic is often the topic of debate. 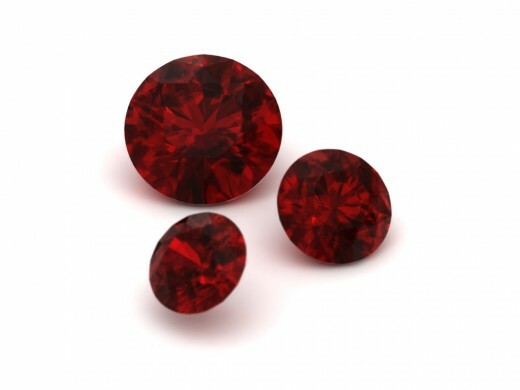 There are many famous large rubies that have been mined over the years. 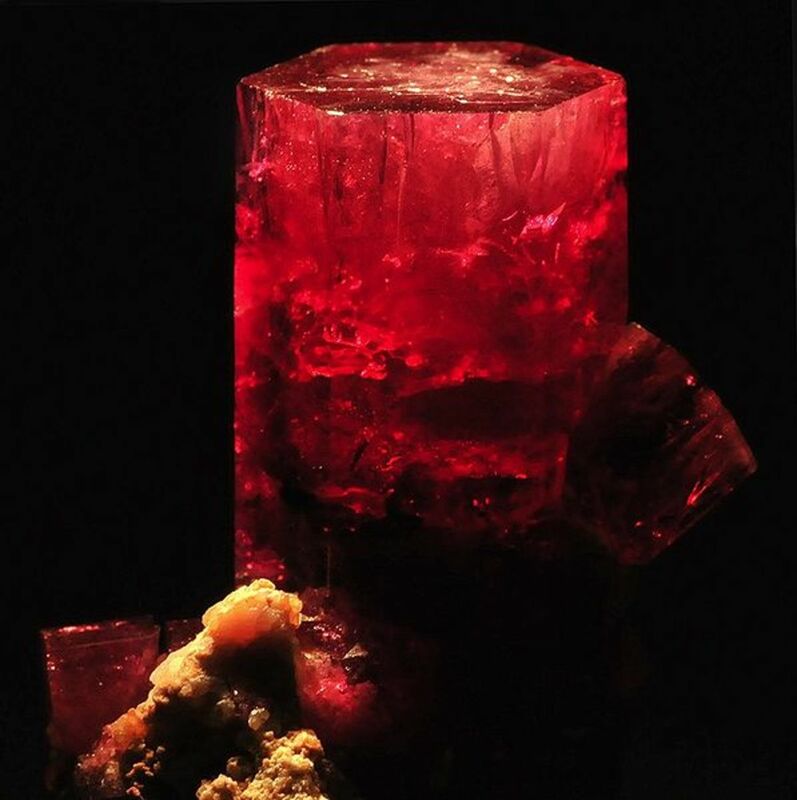 The National Museum of Natural History is home to a large, fine ruby. The Burmese Ruby weighs just over 23 carats and features a bright, red color. The largest ruby known today, the Liberty Bell Ruby, weighs over 4 pounds! This stone is 8.5 thousand carats and is sculpted into a small version of the Liberty Bell. However, the whereabouts of the stone are currently unknown as it was stolen in a heist in 2011. Did you learn anything new about sapphires? Oh no way! I am a sapphire guru!